Mahjong Halloween Play Mahjongg with Halloween pictures on tiles! 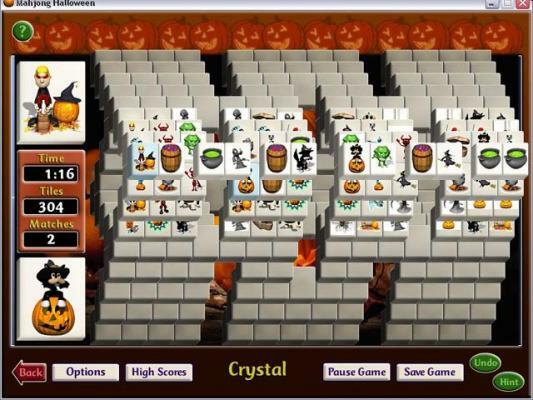 Play Mahjongg with Halloween pictures on tiles! This game includes 500+ layouts and the ability to download up to 100 new layouts every day. 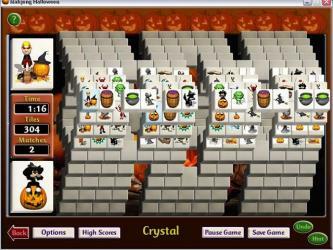 Play traditional 144 tile layouts or Halloween tiles with ghost, pumpkins, black cats, caldron, witches. Step up to the towers (comprised of up to 432 tiles, and nine levels tall). Includes an easy-to-use board editor to create custom tile layouts that can be shared with players around the world.